The People's Picks - Best Collectibles of 2016! The People have spoken, the votes are tallied, and it is time to announce the winners of the People's Picks for Best Collectibles of 2016! Readers vote using the same ballot as the Poppies, making for an interesting comparison with the results, and adding some fuel to the debate. I'm still working on the Poppies, but the results should be posted very soon - stay tuned! With twenty four companies to choose from, there's plenty of potential for the voting to get spread thin. But the readers were adamant in their bests here, with the top three getting 61% of the vote, leaving just 39% for the other 21. The bronze winner is a perennial favorite - Hasbro. I'm not surprised, considering this was another strong year for the Star Wars brand across the board, and they upped their game with Marvel Legends. They had 9% of the overall vote. The silver goes to a surprise, at least to me - NECA. I haven't been paying enough attention to them lately, but the fans have, and love what they've been doing in their 7" scale. I suspect we'll see some very cool stuff from them at Toy Fair in a few days as well. They pulled 17% of the vote. But the big winner of the bright gold medal was a landslide victory. Hot Toys took 35% of the vote, once again claiming their dominance. Even those who never buy one of their toys seem to agree on their place in the current market. Remember, 'high end' is not a hard and fast rule, but generally it's collectibles that run over $75 or so. This separates out at least one category based on price, although I personally feel price is always factored in when judging quality. 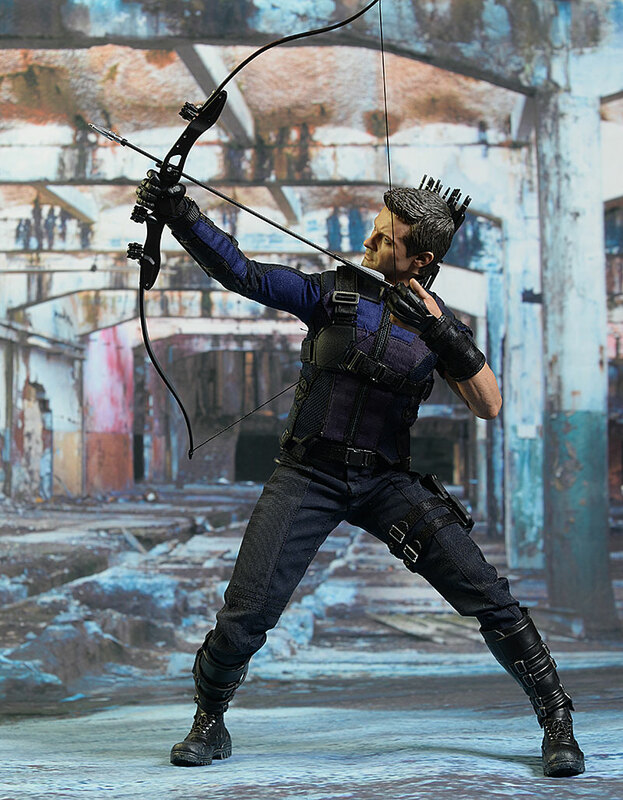 This is another category where Hot Toys has tended to dominate over the last few years. They start out again with a bronze medal for their Marvel related figures, taking 17% of the vote. The movies of the MCU were very strong in 2016, helping propel the action figures as well. Hot Toys did their part, keeping the quality high. But someone else slipped in to ruin their chances for a sweep! Mezco gets the silver (and 22% of the vote) for their One:12 Collective line. That was my pick of the year, and there is some irony here, since what they are doing to the 1/12th market is very similar to what Hot Toys did to the 1/6th market 10 years ago. Hot Toys did snag the gold though, taking 24% of the vote and edging out the competition with their Star Wars line up. Let's face it, they're killing it with the license, producing some amazing figures based on multiple films, and satisfying fans old and new. The bronze is connected - it's NECA's Alien(s) line up, from marines to monsters. With them doing so well in the Best Company category, it's not a surprise to see them do well here, and they took 16% of the vote. By the way, this category was very spread out, as is often the case, and the three winners were VERY close in votes. 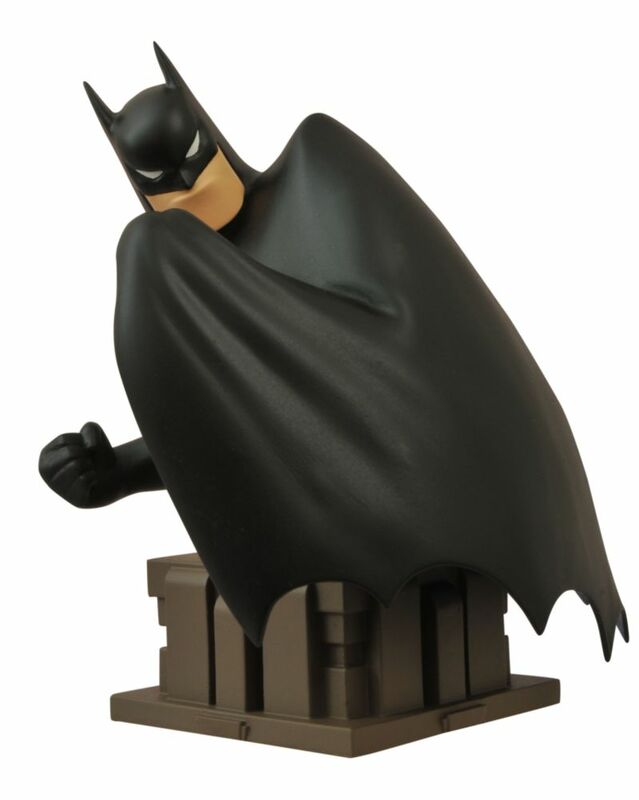 In fact, DC Collectibles edged out NECA with their Animated Batman series, taking 18% of the vote, just 2% more. This is a bit of a surprise, since the company didn't do great in the Overall category, but the line did very well. The winner comes from Hasbro, who reverses their position with NECA from the first category. They get the gold and almost 19% of the vote, barely edging out the second place winners. Which line wins? Well, Marvel Legends of course! A line that's been around this many years could end up getting a little long in the tooth and losing its appeal with fans. 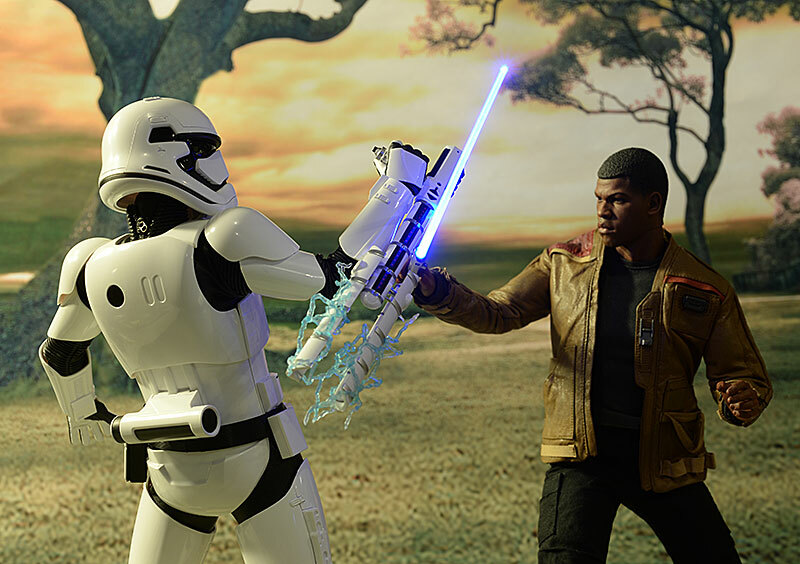 But Hasbro has found a way to keep it interesting by mixing movie and comic figures together, and they've improved the quality on several fronts. Mezco gets a bronze out of their One:12 Collective series with the Batman from Batman v Superman. People were really impressed with the work on the face, and considering the scale, it's quite amazing. Batman snagged 12% of the vote. 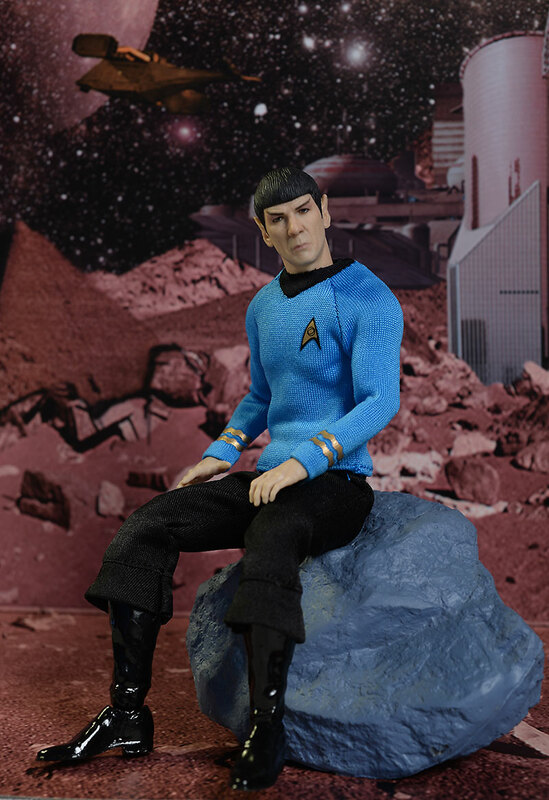 The same can be said for the second place winner, also from the One:12 Collective - Mr. Spock. This guy really impressed me, and was the figure that set the bar for paint operations for the rest of the series. A solid 22% of the voters agreed. 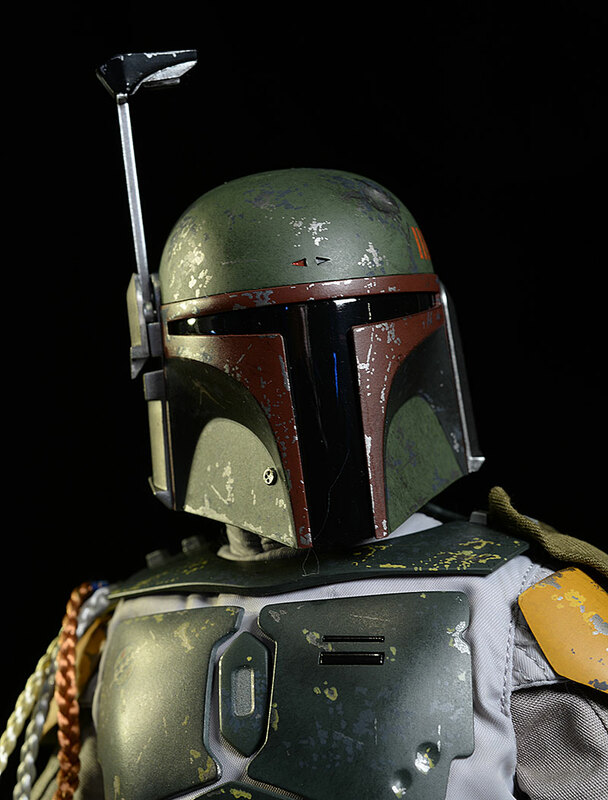 But 30% of the voters went with the Hot Toys Boba Fett, enough to get him the gold. I have to admit, I gave him a full four stars in the paint category when I reviewed him, and this is the sort of attention to paint detail that creates a truly realistic figure in hand. There's an interesting argument that goes something like this - it's not fair to compare a very expensive figure to a much less expensive figure, since there's no way the cheaper figure could win. I personally believe that people take cost into account, and expect more from a more expensive figure. This category is an indication of that, at least for this year. The bronze winner comes from Hot Toys, and was very expensive. It's their quarter scale Iron Man MK45, a beautiful figure indeed. But that beauty came at a price, and that price combined with a certain amount of Iron Man burnout kept him at 18% of the vote. Coming in second was NECA's Deadpool, my personal favorite. And 22% of the voters agreed with me, enough for him to snag the silver. NECA also takes the gold, and I'm not in the least bit surprised by the choice. 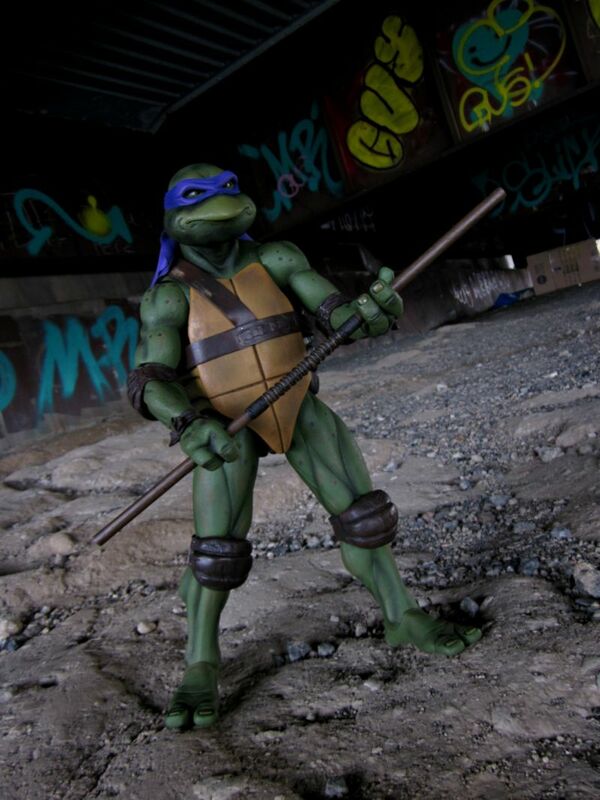 Their comic based Donatello from TMNT has been the talk of the collector town. 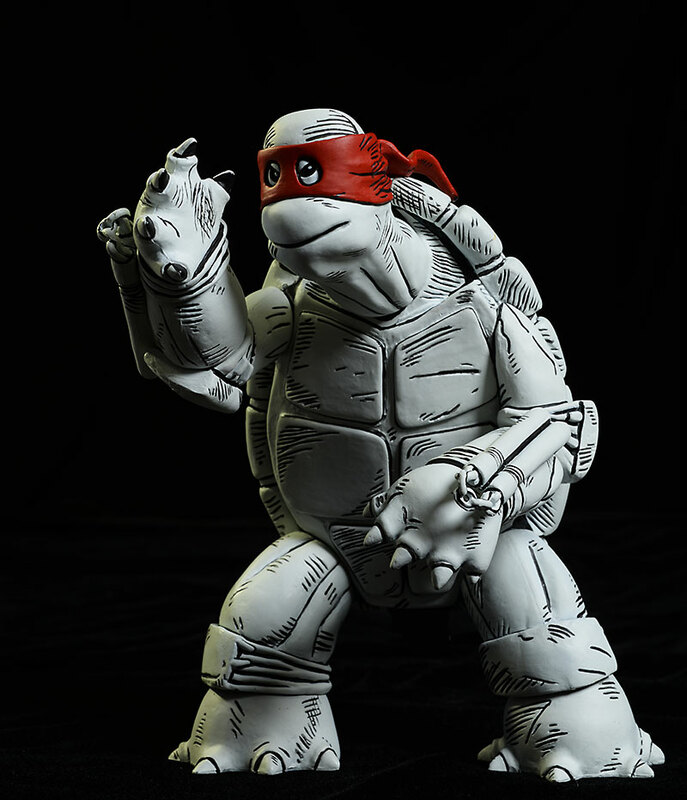 A whopping 32% of the voters selected the first of the NECA quarter scale turtles, and I'm betting the next three releases do well on the 2017 ballot. Photo courtesy of Monte Williams, action figure photographer extraordinaire. Check out his Flicker for more great shots. I have to say that I am not, in any way, surprised by the results here. They might not match mine, but they certainly match the buzz I've heard on various platforms over the course of the year. My pick for best of the year, the Quantum Mechanix Star Trek Captain Kirk, did pretty well with the readers, taking 12% of the vote and the bronze medal. While it's still very rare for Hot Toys to lose this category, it's great to see other companies in the top three, keeping them on their toes. Another of my favorites takes the silver - Hot Toys Deadpool. Even with the wrist issues, the merc with a mouth took 22% of the vote, and the hearts of 100% of his fans. 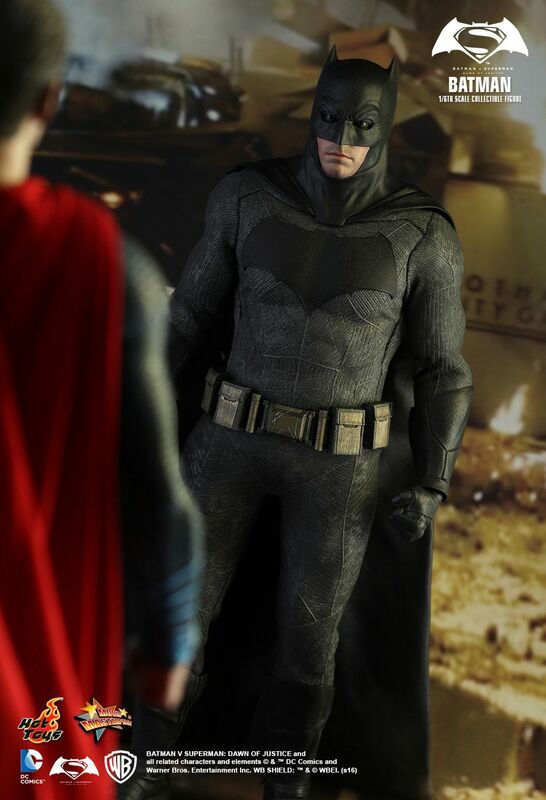 And the big gold winner...Hot Toys Batman v Superman Batman! I'm not shocked by this, even if he wasn't one of my own personal top picks. Collectors really loved this figure, enough for 24% of the voters to give him the nod. There's a new sheriff in town, and he's flexing his muscle in this category for 2016. But first, there's an old sheriff who isn't quite ready to give it up. Hasbro's Marvel Legends line continues to produce some killer figures, and their Deadpool was a fan favorite this year. He took 8% of the vote and the bronze medal. Mezco's One:12 Collective is the new sheriff, and they grabbed the silver spot with their Batman V Superman Batman release. I thought he was fantastic, and so did 16% of the readers. The armored version had a bit of a baggy look around the hips, but this regular version was just about perfect. One:12 Collective also takes the top spot, snagging another 17% of the vote with their exceptional Mr. Spock from Star Trek the Original Series. I'm linking to the Toy Fair version, but he was pretty much identical to the later release of the standard version. They followed him up with Kirk and Sulu, and I expect we'll see McCoy soon as well. Of the four male and three female figure categories, the under 5" for both genders was the one with the most abstains. I'm not surprised, given the greater emphasis on larger scales these days by most companies, even Hasbro. There's some new players in this scale doing some very cool work, and it did get recognized. The Vitruvian HACKS King Leonidas snagged 11% of the vote and a bronze medal. This is a line you should check out, and it has a ton of play potential. If you're disappointed in the lack of new Joes on the pegs, check out Boss Fight Studio and this line. Squeaking out another 1%, getting 12% of the vote, is a dark horse silver medalist - Statler, from the Muppets line by Diamond Select! Okay, I've had a few nits to pick on this series, but I'm still glad we're getting some Muppet love. The Statler and Waldorf set with the balcony diorama has been the highlight of the new series so far. You can never count Hasbro out in this category - they're the 4" figure kings. 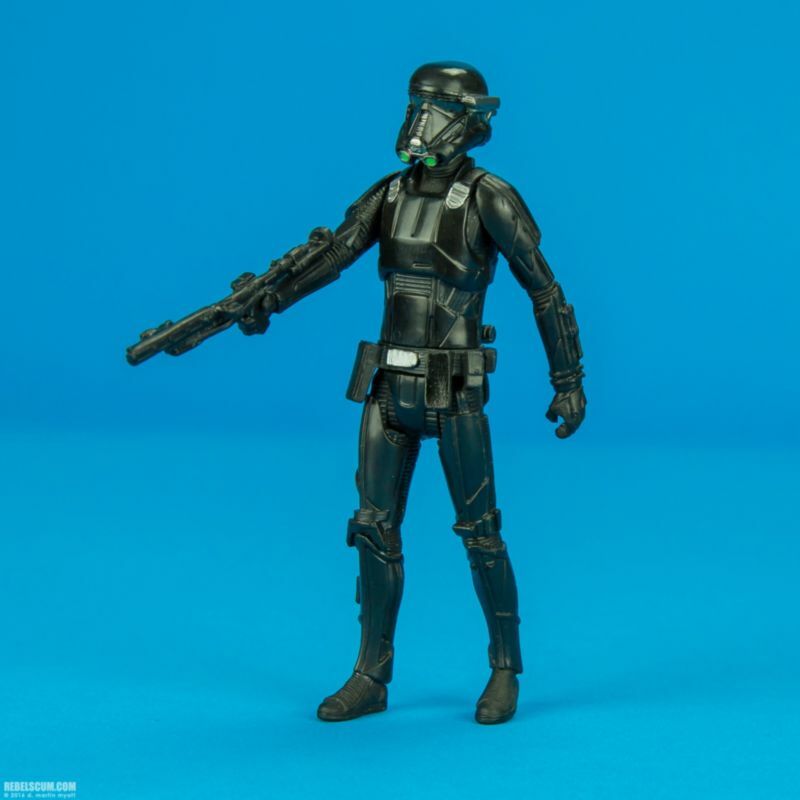 They took 21% of the vote with their Star Wars Deathtrooper, a cool character in any scale. Interestingly, he's less pin headed in this scale than in larger scales. Photo courtesy of Rebel Scum. We didn't see a lot of quarter scale female figures in 2016 - maybe that will change for 2017. But the one we did get - Harley - did reasonably well here. Not well enough to crack the top three, but a decent showing nonetheless. Hot Toys owns this category this year, and that's not much of a surprise. While other sixth scale manufacturers are giving them a serious run for their money in the male category, there wasn't much competition with the ladies. Bronze goes to a Hot Toys female that didn't do a lot for me, but clearly 10% of the voters felt much stronger about their Scarlet Witch. It is very nice to see rooted hair get some love. The silver goes to my top pick - Princess Leia. While I voted her tops, I certainly understand the issues some people had with the blank stare and poofy outfit. But for myself, and a solid 29% of the voters, she was our choice for the year. The gold medal winner barely edged by Leia, getting 31% of the vote. And I completely understand why, as she is an amazing release. It's the first Star Wars Rey with BB-8 that took the top spot, and deservedly so. Once upon a time, this category was the property of Masters of the Universe Classics and DC Universe Classics. While I miss those days, I'm also happy to see some amazing lines with terrific female figures take their place. DC Collectibles snag the third place spot with 11% of the vote, but NOT with an animated figure! Nope, it's the DC Icons series Batgirl that grabs this bronze, and she was a great figure...with a great bike, which probably helped a bit as well. DC Collectibles and their Icons line takes the silver too! Their Harley grabs 12% of the vote, barely edging out her sister from different mister for second place. While I miss DCUC, I have to admit that the Icons series is a great replacement. The winner did so in grand style, scooping up 22% of the vote. 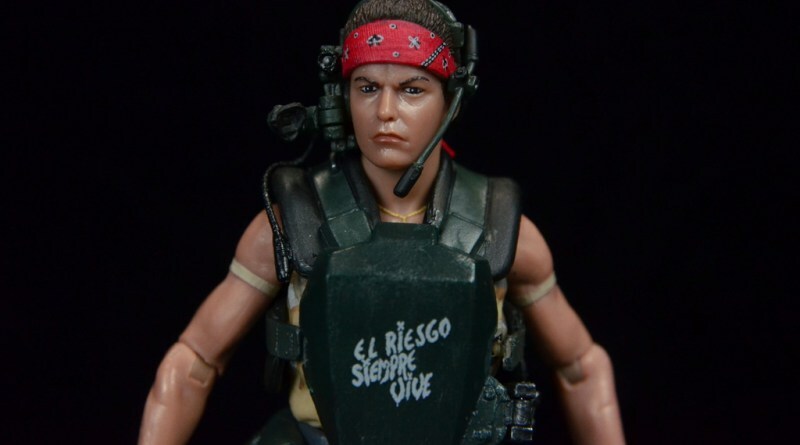 The fans have been very happy with the work NECA is doing with the Alien and Aliens line, and they showed them the love for Vasquez. Sadly, I didn't pick one up, clearly a mistake on my part. Photo courtesy of Lyle's Movie Files. We're on category 11 out of 19, and we have just hit our first tie! Better yet, the selections in this category show some serious diversity in licenses, companies, and styles. The tie comes for bronze, where two very different figures both received 16% of the vote. The Marvel Legends Comic Book set Lady Thor shares the third place spot with the Jedha Outfit Jyn Erso from Rogue One. Both might be from Hasbro, but they are very different styles. The silver belongs to another Aliens figure, but it's from Funko this time - their ReAction Ripley grabbed 17% of the vote. Of course, she also came with a very cool Power Loader and a great Alien Queen, making the purchase all the sweeter for fans. The winner was a surprise, but a good one - from the Vitruvian HACKS by Boss Fight Studio, the uber cool Medusa takes the gold with 19% of the vote. Talk about a unique figure! With a great sculpt and paint, plus some amazing articulation, it's no wonder the stone cold beauty took the top spot. Photo courtesy of General Joes. Call them Build-A-Figures, Collect-N-Connect, or whatever your personal choice might be, but they are still one of the coolest marketing ideas in the action figure world. I don't know about you, but I'm much more inclined to complete a full wave of figures if the extra figure, or diorama, or whatever, is nifty. 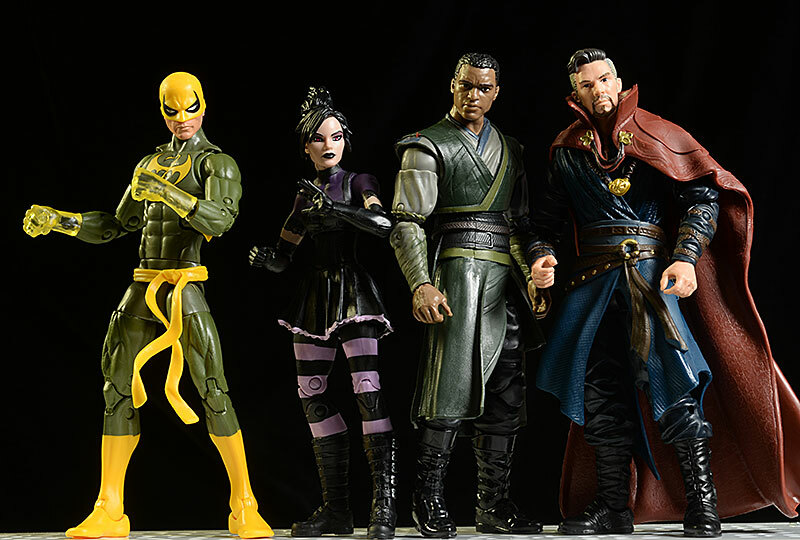 If not for the BAF, I'd have a lot fewer Marvel Legends in my collection, that's for sure. This year we had a lot of great choices, and both Mattel and Hasbro are staying strong with this marketing concept. But despite Mattel's best efforts, Hasbro remained king with the voters with a sweep in the category. The bronze goes to their Onslaught, with 12% of the vote. Even though he came out quite early in 2016, readers didn't forget - remembrance is a sign of a great figure. He's also got some decent bulk, something some of us appreciate from days gone by. Speaking of bulk, at 10" tall the Giant Man BAF was bigger than most newer versions. Giant Man is Ant Man in reverse, and using the new movie design was a great choice. Of course, he's nowhere near the scale of the old Giant Man BAF from the Toybiz days, but he's still pretty sweet. At least 15% of the voters thought so. The big winner is one I didn't even have in my top three - Juggernaut! 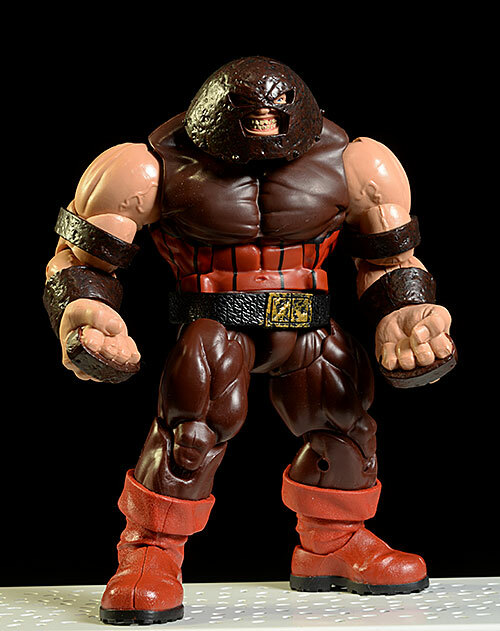 It's been awhile since we had a ML Juggernaut, and going the BAF route allowed them to make a figure that fits the overall scale of the series a bit better. We group play sets and vehicles together for a good reason - a vehicle is just a rolling play set. And while adult collectors might try to get all fancy with the spices and call them 'dioramas', they're still play sets. My number one pick ended up getting 12% of the vote and the bronze medal from the People. That would be the Mezco Judge Dredd Lawmaster, in case you've forgotten. A beautiful sculpt, great paint, and some terrific lights and sounds makes this an easy pick. Coming in second was another of my favorites, the DC Collectibles Animated Batman Batwing. This thing is HUGE, no hyperbole necessary. I'm going to hang mine from the ceiling, swooping down on unsuspecting villains...oh, and 24% of the voters liked it best. 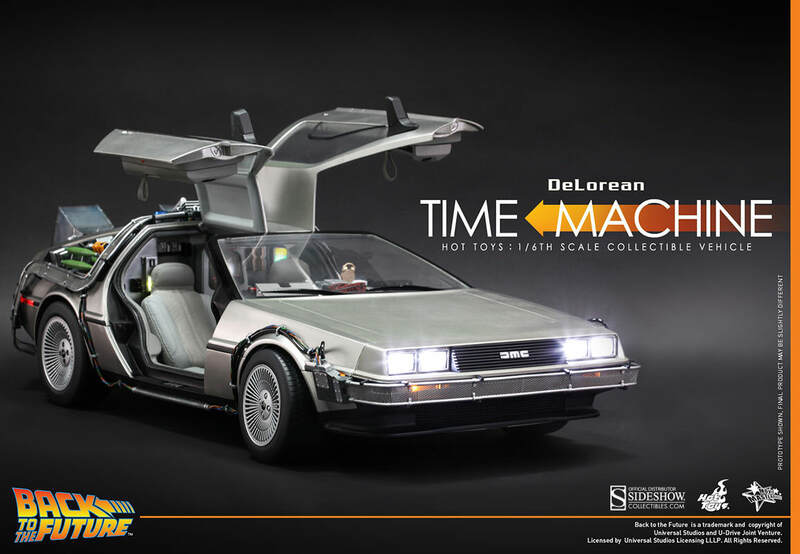 The most expensive, crazy cool release of the year took the gold - the Hot Toys Back to the Future Delorean. This thing is insanely expensive, but all that money was put to very good use. Pair this beauty up with a Marty McFly figure, and you'll have a rockin' BTTF display. 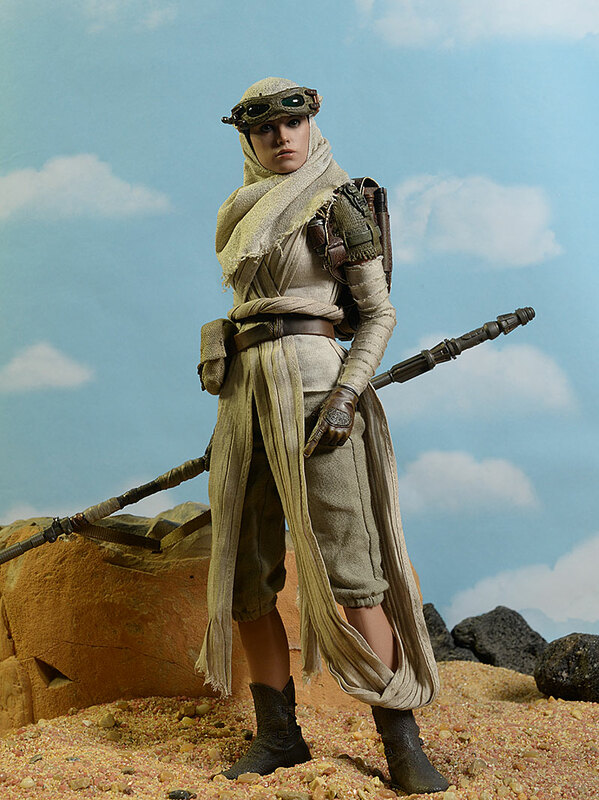 Photo courtesy of Sideshow/Hot Toys. The ladies made a strong showing in this category for 2016, taking both the bronze and the silver. The gorgeous Tweeterhead Batgirl, from the 1966 Batman television show, grabbed 8% of the vote and the third place spot. She's a favorite of mine, and the whole series is fantastic. Taking silver is another Tweeterhead statue, also a lady, and also from the Batman universe - Catwoman! This Batman Returns rendition looks amazing on the shelf, and begs for a Batman and Penguin to go with her. She clawed her way to second with 10% of the vote. The gold goes to a character that's an old favorite with current collectors of all things nerdy - He-man. Sideshow did a terrific statue this year, and the accolades have been pretty universal. 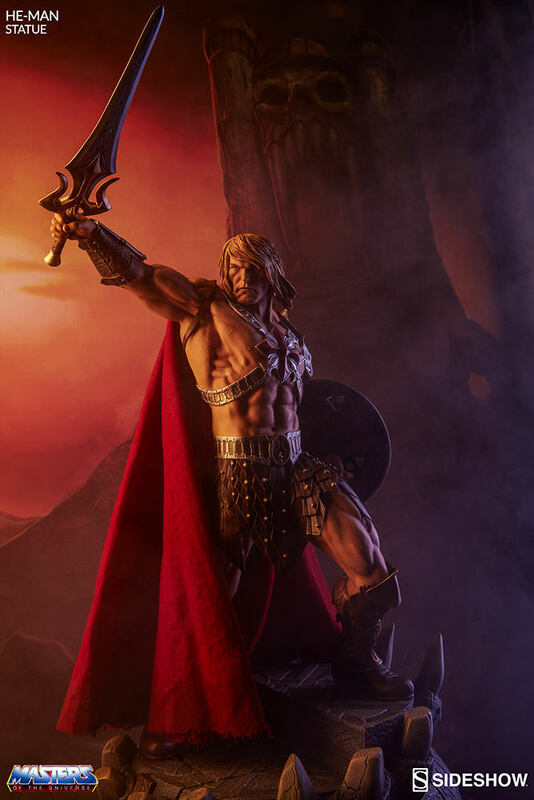 It's not exactly the He-man you might remember, but he's a popular rendition. That's an opinion 13% of the voters shared. This category was tremendously divided, with the top three winners taking just 37% of the total vote between them. Of course, that means they were neck and neck as well. When the dust settled, the bronze medalist was the classic Boba Fett from Gentle Giant. I'm not a huge fan of this style - I much prefer a bust with arms - but 12% of the voters completely disagree with me. No huge surprise there! Another 13% went for my winner, the huge and highly impressive Medusa from Cinemaquettes. You really have to see this beauty in person to appreciate how amazing she really is. The term "jaw dropping" was coined for just such a bust. The winner slipped by her though, getting just a handful more votes and coming in at almost 14%. Coming from Diamond Select Toys, it's the animated Batman bust! They've been doing some great work across the animated line in statues and busts, and this version of the caped crusader was certainly a highlight last summer. Photo courtesy Diamond Select Toys. This is an odd category, no doubt about it. With companies like Funko producing gillions of Pop figures, how can small artists compete? Pretty well, actually. The bronze medal in this category is going to a great piece of work by Joe Allard and The Loyal Subjects - Skeletor! I love the designs on these, and 15% of the voters agree with me. Another 17% picked our silver place medalist: Pop's Smuggler's Bounty Boba Fett! Hey, you didn't think Funko would get completely left out in this category did you? I think it's the cool rocket exhaust flames that set this one apart from the standard Pop design. But the winner, with 20% of the vote, is a shock to me - pure and simple. I really liked the First Turtle from Mondo, but I never expected him to pull a win from the People in this category! Clearly there were some serious TMNT fans in on the voting. In a surprising outcome - at least to me - Hasbro crushes this category with their collector themed yet inexpensive releases. They get the third place spot with the Iron Man helmet, taking 16% of the overall vote. I thought the Iron Man helmet would do better, and it was certainly a favorite of mine. Not easy to breathe in, but certainly a great looking replica for the price. I wasn't as thrilled with the Star Wars Stormtrooper helmet, but that's due to the issues I personally had with the voice chip. You can make the argument that it's a great prop replica and the voice chip wasn't really important to that end, and I'd say 18% of the voters did just that. 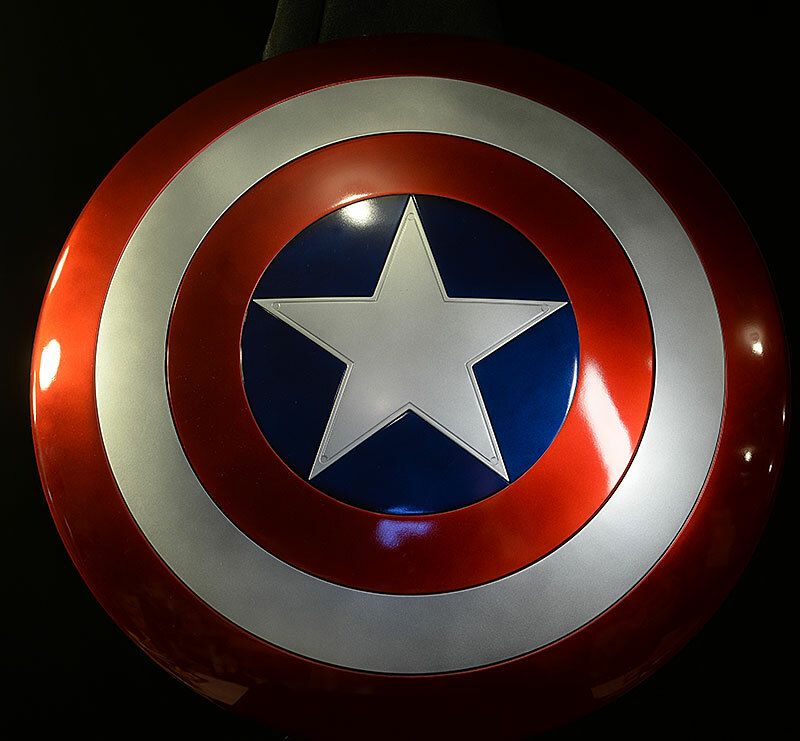 The gold medalist is a mighty fine addition to any replica room - the Captain America shield. Hasbro did a metal and a plastic, and both were fantastic. You paid a little more (well, a lot more) for the metal version, but still far less than from other replica companies out there. Of the three the people picked, this is the only one that was good enough to get a place of honor in the bar at home. 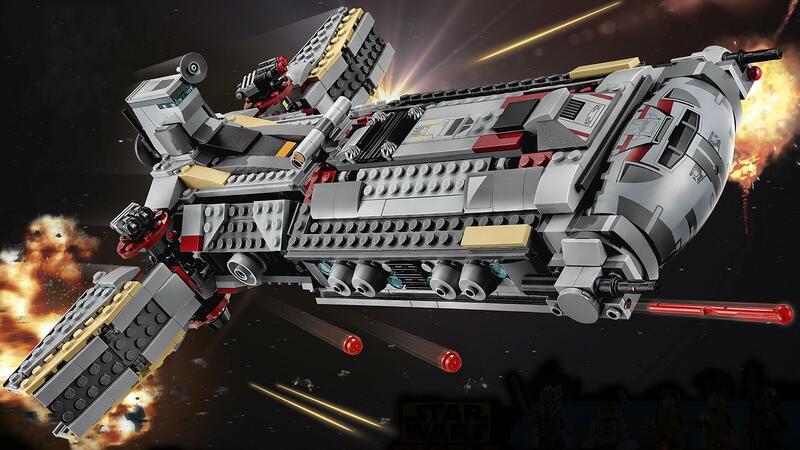 There are a ton of terrific building figures and sets out there these days, but Lego continues to dominate. That's due in no small part to their cool licenses, and to their willingness to listen to and interact with fans. One such example is their Ghostbusters line, which took the bronze medal with 13% of the vote. They didn't produce a ton of stuff in 2016, but I'm pretty sure the firehouse set won it for them, hands down. My personal favorite is the silver medal winner - the Lego Batman Movie line. I so want an Arkham Asylum, and I haven't even seen the movie yet. If it's anywhere near as good as the Lego Movie, I'm sunk. Just over 18% of the voters are in the same boat, and we're all going down together. The winner is probably no surprise, especially since the overall license is such a massive juggernaut right now. Their Star Wars sets cover tons of characters and scenes from multiple movies. Getting out the Rogue One stuff along with Force Awakens and earlier themes gave them a huge year. They took the gold handily, with 33% of the vote. I'm pretty shocked on this one - you'll see why in a minute. It's not the bronze medal winner, a set I can clearly understand: NECA's Predator Accessory Pack. These are some seriously cool extras for your Predator display, and 10% of the fans appreciated it. I'm not surprised on the silver medalist either, although it was a really, really tight race. The Vitruvian HACKS, who you've already seen get some love in these awards, took the second place spot with just under 15% of the vote. Boss Fight Studio has a really cool concept on their hands, and I suspect that as the word gets out, more fans will flock to the switch and swap nature of the characters and accessories. No, it's the winner that shocks me. As I said, it was a close one, and the gold was taken with just a few extra votes, just over 15% of the total. 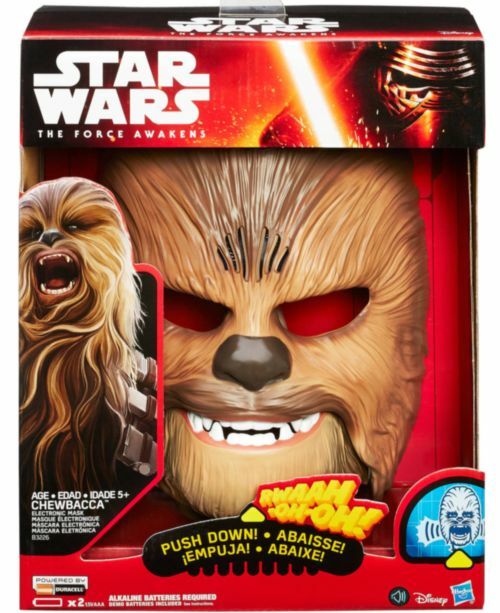 As annoying as Chewbacca Mom might have been, the voters picked the talking Chewbacca Mask as their top Misc. Will the People's Picks be any indication of how the Poppies go? They usually are, but I have to warn you that early indications are showing that some of these categories will be very, very different. I suspect that's because of the quality of the products out there these days - there's far more great releases, far less crap. Another interesting result is the lack of ties. We had two last year, and that dropped to just one this year. The voters seemed to be more aligned, at least when it comes to the People. I suspect we'll see a lot more ties with the Poppies, but that tends to occur when you have a much smaller voting base. As I perused last year's results, I also noticed that Hot Toys Star Wars won for Best Overall Line - High End. I don't see how any line is going to take them down in 2017, considering the characters we'll be seeing and the sheer force of the license right now. It's interesting to note however that the three top winners from 2015 repeated in this category for 2016...but the One:12 Collective line moved up a spot from bronze to silver, pushing the Hot Toys Marvel license down. Hmmmm. Could they make another move in 2017? If you look at just gold medalists, Hasbro did extremely well with the People this year, taking 5 top spots! Hot Toys did well of course, taking six, but they did lose in one of the categories they were nominated. Old standbys like Sideshow, Lego, Diamond Select, snagged one each, and NECA took two golds. Some smaller companies shared the other top spots, with Mondo getting one, Boss Fight Studio getting one, and Mezco getting one as well. Now it's time to get those Poppies votes finished up - stay tuned!